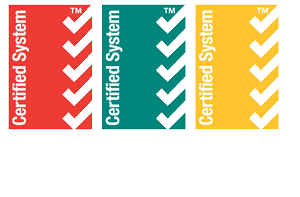 Advanteering operates under a quality system 3rd party certified to comply with the requirements of AS/NZS ISO 9001. This provides confidence for our clients as they are assured that the quality of our construction works is maintained and the specified requirements are achieved or bettered. This can result in cost savings to the clients in the long run due to reduced maintenance costs. To help assure quality outcomes, the Quality section of the QEST Plan has an inbuilt system of reviews to ensure that it is revised as and when necessary to keep it alive and current throughout the project. The QEST Plans include a unique method of integrating ‘Inspection and Test Plans’, with ‘Environment Scrutiny’ and ‘Job Safety Analysis’ within the work instructions to ensure all personnel are focussed on achieving the required outcomes. Each Project conducted by Advanteering is subject to internal audits to ensure compliance with the specified requirements and Advanteering’s documented procedures. This goes to providing peace of mind to Clients that all aspects of works will be carried out under sensible levels of control.